SketchUp is one of the most popular 3D modeling software out there. Thanks to its intuitive and easy-to-use interface, SketchUp has a large number of applications. From simple artistic work to complex 3D designs, SketchUp is used in a wide range of 3D modeling projects like architectural, interior design, landscape architecture, but also video game design, to name a few. SketchUp is also very popular among civil designers. If you’re wondering which laptop to buy to run SketchUp then you’d be happy to hear that SketchUp is a relatively light 3D modeling program, and most of the time, SketchUp uses a single core processor for all the processes; which is actually the case for most CAD and 3D modeling programs. But that doesn’t mean that any laptop will do the job, because complex tasks such as rendering require more power, and thus, only a powerful processor will be able to deliver that. When looking for a laptop for SketchUp, you will also need a laptop that comes with a good graphics card for high-end 3D modeling. As mentioned before, SketchUp is a single core application, which means that you won’t see any noticeable improvement in the program’s performance if you use a multicore processor, such as an Intel i7. However, a multicore processor can be very helpful, especially when rendering, and also if you’re multitasking and running other programs along SketchUp. The processor’s clockspeed is also very important; since SketchUp is a single core application. Which means that the program will perform better if the processor has a higher frequency. Most laptops are equipped with Intel “U” processors, which means “ultra low power consumption” and which usually translates to a lower frequency in order to save power. While some newer U processors can be used for SketchUp and can handle 2D projects with no issues; it is highly recommended to get an “H” or “HQ” processor. “HQ” and “H” refer to high performance integrated graphics and a quad core CPU; these processors also tend to have a higher frequency. As mentioned earlier, the amount of RAM your laptop has is very important when running a 3D modeling software, such as SketchUp. 8GB RAM is good enough for students. However, at least 16GB RAM is recommended for professionals. The graphics card is very important because it determines how fast your screen will display the “results” of your work. For SketchUp, it is recommended to get a laptop with a dedicated graphics card. A lot of users have reported endless SketchUp problems with integrated Intel graphics. If you’re on a budget, consider a laptop with an Nvidia 960MX or 1050GTX at least. And depending on the complexity of your projects, you might also consider a more powerful card such as the 1060GTX or above. Choosing the right size of the display is also important. And when it comes to 3D modeling, we can say the bigger the screen is, the better. Even though a 15.6-inch screen is good enough, a 17-inch screen is even better. If you are not going to carry around your laptop all the time then the 17-inch screen is the best choice. The screen’s resolution is also important, and for laptops, a Full HD resolution is recommended because it will give you cleaner lines and allow you to view more details on screen. There are still a lot of laptops with 1366 x 768 screens (especially if you’re considering a used laptop), and these should be avoided like the plague. It does not mean that the highest resolution will solve this problem. A resolution higher than Full HD is not always a good thing on a laptop, even on a 17 inch display, because it means more battery consumption and might not be compatible with the software either. Having a Solid State Drive (SSD) won’t have much effect on SketchUp’s performance, it will certainly speed things up when you’re reading and writing on the hard drive: for example when opening and saving files, launching the program, loading models…etc. However, SSD storage is the future, and makes your laptop overall more responsive. If you are on a tight budget go for a standard 1TB HDD, but a lot of budget laptops come with solid state drives nowadays. For professionals however, it is highly recommended to choose at least a 512GB SSD storage. If you work remotely and carry your laptop around all the time, the weight of your laptop could become a problem. In any case, a lighter laptop is the ideal choice so try to find the one which weighs around 3lbs. What type of SketchUp projects will you be working on? Are you going to work on 3D projects? Or mostly 2D? Are you going to use the laptop to run other heavy programs? 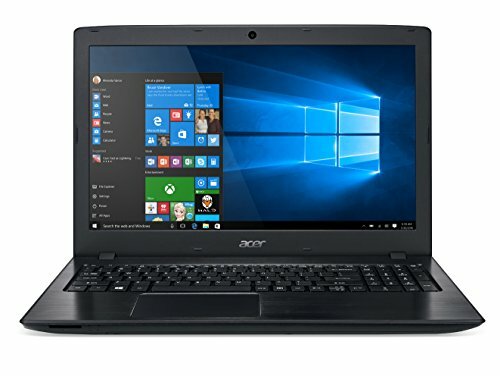 The Acer Aspire E 15 E5-576G-5762 is a great all-purpose value laptop and you simply cannot go wrong with it if you’re on a budget and want to get the best laptop you can. The E15 is one of the best budget laptops under 600$ capable of running SketchUp and other modeling and design software, which makes it a popular option among beginners and students. The Aspire E15 is equipped with an 8th generation I5 processor, 8GB of RAM, a 256GB solid state drive and a dedicated GeForce MX150, which is an equivalent of the Nvidia 1030. The Intel Core i5-8250U has a base clockspeed of 1.6Ghz, which isn’t high enough for modeling software; but when more power is needed the processor goes into Turbo Speed, and can go up to 3.4Ghz. The Nvidia GeForce MX150 is also a very popular graphics card in budget laptops (and even some premium ultrabooks) and although it’s not a beast, it gives a decent performance whether you’re gaming or doing GPU intensive work such as rendering or video editing. The Asus FX504 is a relatively thin and light gaming laptop that packs plenty of power for its price. Aimed primarily for gamers, the FX504 can handle most modern AAA games and also provide reliability and stability when doing other intensive tasks. The Asus FX504GE-ES72 features an 8th generation Intel Core i7-8750H processor (up to 3.9GHz), 8GB of RAM, a 256GB M2 solid state drive, and GeForce GTX 1050 Ti with 4GB of video memory. 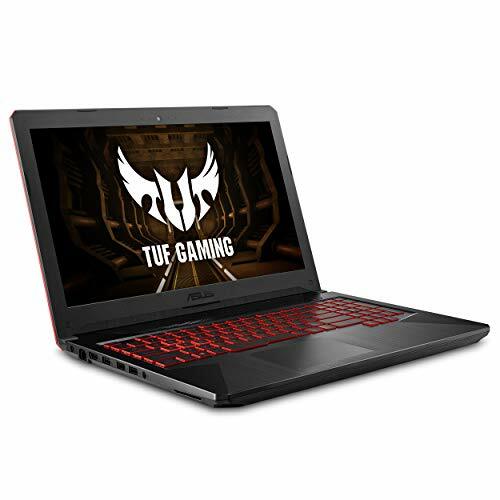 Not only can the Asus FX504 run SketchUp with no issues, but if you’re looking for a reliable laptop to play some video games in your free time, this laptop looks like a happy medium between cost and performance. The FX504 is also a relatively thin laptop, with a 0.98 inch thin profile and a weight of only 5.07 lbs. Asus also equipped this model with a dual fans anti-dust system that helps prolong the FX504’s lifespan and provides stable performance for graphics-intensive gaming. The chassis is entirely built of plastic, but the build quality feels very solid. 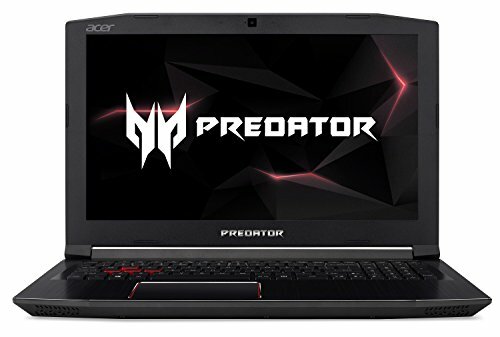 When talking about serious gaming laptops, the Acer Predator Helios 300 PH315-51-78NP is a very popular option. But that doesn’t mean that the Helios 300 is only good for gaming, because it can also handle design software and 3D modeling with no issues. The Helios 300 comes with an 8th Generation Intel Core i7-8750H, 16GB of RAM, a 256GB solid state drive, and a dedicated Nvidia GTX 1060 graphics card. It also features a gorgeous 15,6 inch Full HD IPS display, that produces sharp and accurate colors. The screen also has a 144Hz refresh rate, which is a great feature if you’re into gaming. The build quality is also very good, and the laptop is relatively portable, as far as gaming laptops go, with a weight of 5.51Lbs. However, the typical aggressive “gamery” design might to too over the top for some people, especially if you need a laptop to bring to work. You should also note that the battery lasts for only 7 hours at best, which is totally understandable considering the Helios 300 comes with a full hexacore processor. If you’re on the search of a powerful laptop but dislike the gaudy look of gaming laptops and don’t want to spend a lot of money on a professional workstation, then you might consider the Lenovo Legion Y7000. 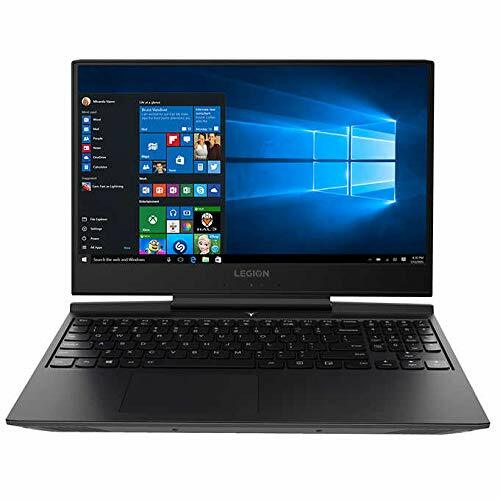 The Lenovo Legion Y7000 is quite similar to the Helios 300 in terms of specs. It comes with an 8th generation Intel Core i7-8750H, 16GB of RAM, a dual 256GB solid state drive and a 1TB hard drive, and a dedicated Nvidia GTX 1060 graphics card. Whether you’re gaming at the maximum settings or rendering a 3D project, the Y7000 maintains a constant performance thanks to the hexacore processor and the dedicated graphics. The build quality is also very solid, and thanks to the thin bezels around the screen, the laptop maintains a relatively small form factor. There are also no red trims or flashy keyboard colors, unlike many gaming laptops. Over the last few years, Gigabyte has made some of the best gaming laptops out there, and the Aero 15X is no exception. The Aero 15X v8-BK4 is equipped with an 8th generation i7-8750H processor16 GB of RAM, a 512 GB solid state drive, and a dedicated Nvidia GeForce GTX 1070. Not only you can play most AAA titles at their highest settings, but the Aero 15X can also run 3D modeling software such as SketchUp, AutoCAD or Revit like butter, and also render designs easily. 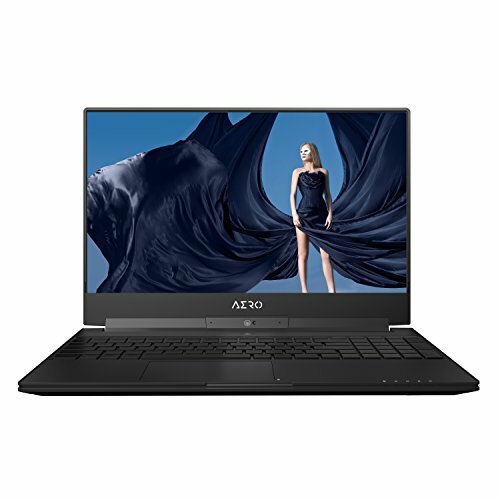 The design is also another important thing about the Aero 15X, not only the build quality is superior, but while most gaming laptops of this range tend to be bulky and over the top, the Aero 15X has a stylish slim profile: the laptop only measures 14 x 9.8 inches, is only 0.78 inch thick, and only weighs 4.62 Ibs. The Gigabyte Aero 15X is also equipped with a 94Wh battery, which should give about 10 hours of use according to the manufacturer. And a lot of users reported a battery life of more than 8 hours in real world use, which is amazing for a gaming laptop of this range.